EDITOR’S NOTE: We will be following the Pridemores’ journey through the Champaign Unit 4 Schools kindergarten registration process. If you want general information about the Champaign kindergarten process and timelines, visit our overview for 2019 HERE. For the Pridemores’ Second Installment, GO HERE. For the Pridemores; Third Installment, GO HERE. Before I became a parent, I remember seeing people post pictures of their kids on the first day of school. The kindergarten-bound child would be on the front porch with a backpack on, indulging his/her parents with some posed pictures. The picture caption would usually include something about the parent not believing this day was here, followed by some teary-eyed emojis. I never really understood the sadness because I assumed it would be a moment of excitement, but now I get it. 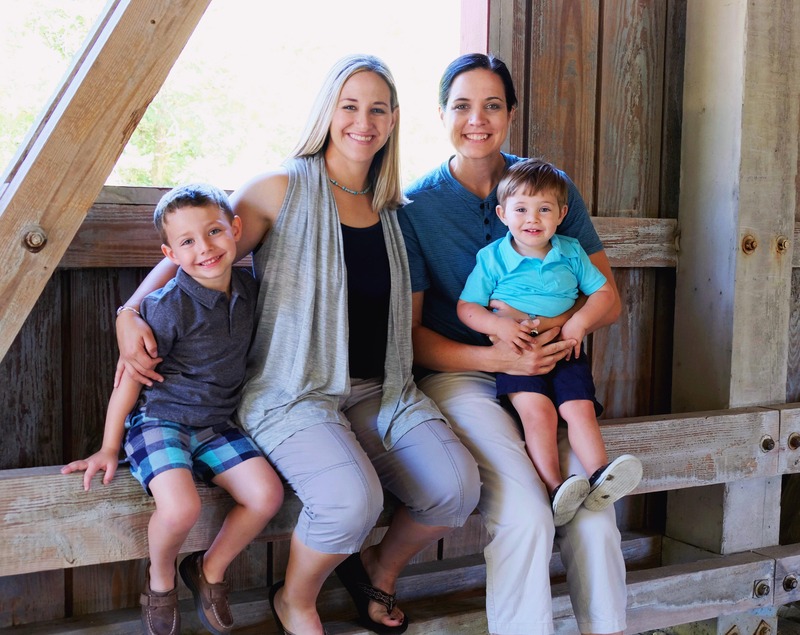 Jennifer and Melanie Pridemore, and their two sons, Ethan and Andrew. Photo provided. My oldest son, Ethan, is turning 5 in a few weeks. Around this time, my wife and I will be engaged in the process of registering him for kindergarten. Like most people in a similar position, we entered the new year by beginning the process of looking into the Champaign Unit 4 “school of choice” kindergarten registration process. When we first got on the school of choice website, the first thing I wanted to understand was why Champaign uses this process to begin with. I was pleased to read that they have the school of choice process to “maintain diversity in our schools.” I think it’s great that the school district encourages families to explore the schools, and kids are assigned in an attempt to make sure the schools are diverse. I continued to read through the website and felt like I had a good understanding of the process overall. I will be honest, once I understood the process and actually started looking at options, I was a little overwhelmed. There was so much information and so many options that my wife and I had no idea where to start. What we decided to do was decide what factors would be most important to us and begin to filter the options based on our preferences. What we determined to be our most important factors were: diversity/multicultural focus; early start time; location; and standard school year calendar. We wanted schools that specifically mentioned diversity because Ethan (and our 2-year-old son Andrew) are being raised Jewish and they have lesbian mothers so, obviously, we want them in a school where all families are made to feel welcome. Start time was another important factor because of when my wife and I work. With the early start, we wouldn’t need him to be in before- or after-school care. He currently goes to a preschool that starts at 8 a.m. so he is used to getting up early (even if we do have to pry him out of bed sometimes). After sorting the schools based on our preferences, we determined our top three choices would be Westview, Robeson and Carrie Busey. Our next step is to tour the schools that we are most interested in when the evening tours happen (the first week of February). We are hoping that seeing the schools will solidify our choices. Stay tuned as we continue the journey! Melanie Pridemore is a certified coach and trainer and owner of 6 Dimensions. She lives in Champaign with her wife and two sons. Want to read the previous journeys of parents going through the Unit 4 process? Here’s links to our archives.